A Boulder mother has started a national campaign to erase school lunch debt. BOULDER, Colo. — A Boulder mother has started a campaign to erase school lunch debt. Kate Lacroix, whose two children attend school in the Boulder Valley School District, has gained national attention for her fundraising campaign. Last month, Lacroix learned that her children’s district had $232,000 worth of school lunch debt. She decided to do something about it by starting a Facebook drive that so far has raised more than $20,000. "It's definitely inspired people to think differently about how they can step in," she said. Lacroix owns Stocked, a service that teaches women to save money on groceries and then invest their savings. She used her food connections to solicit donations from Boulder staples like Lucky's Market and Ilegal Pete's. The campaign landed her on "Good Morning America” and National Public Radio, and the donations followed from across the country. "Everybody who has donated has realized we're better when we all work together,” said Lacroix. Lacroix said a common misconception is that most students in Boulder come from affluent families. 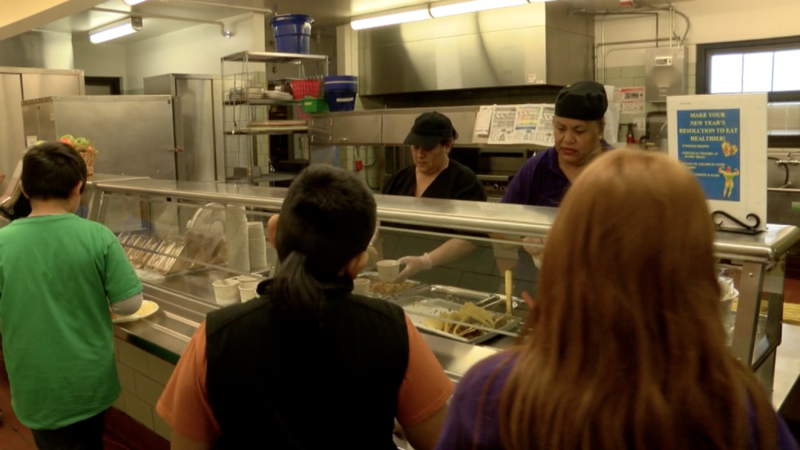 But according to data from the Boulder Valley School District, nearly 20 percent of its students qualify for government-subsidized lunches. Part of that story is the growing population of lower income families. "They're either the working poor where they just don't qualify for free services, or they're undocumented and they're nervous about putting their information down," she said. Ann Cooper is the food service director at Boulder Valley Schools. She said every student receives full meals whether they have the money or not. The debt has accumulated over the past decade. Cooper says Lacroix’s campaign is greatly appreciated, but she said it also points out a larger problem nationwide. “A hungry child can't learn and a malnourished child can't learn,” said Cooper. “We should be having free meals for every kid in this country. That's what we should be doing." Meanwhile, Lacroix said she won't stop until the lunch debt is paid in full. "It just sustains the good feeling,” she said. “It sustains happiness and joy the more you give it away."